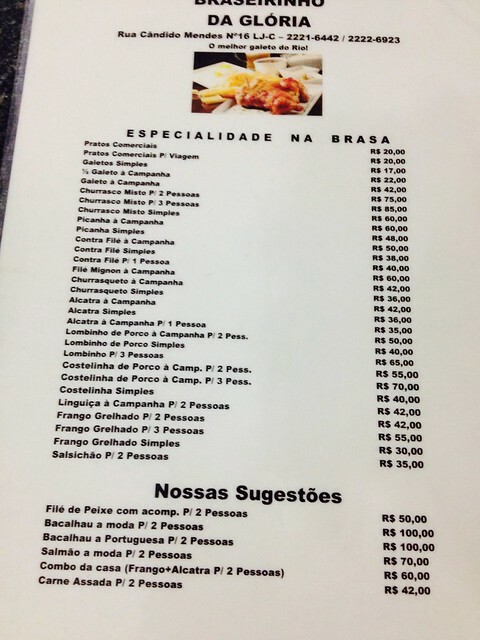 Food in Brazil was generally more expensive than Argentina’s. As we came towards the end of the trip, I got less adventurous and was really looking forward to the food back home. 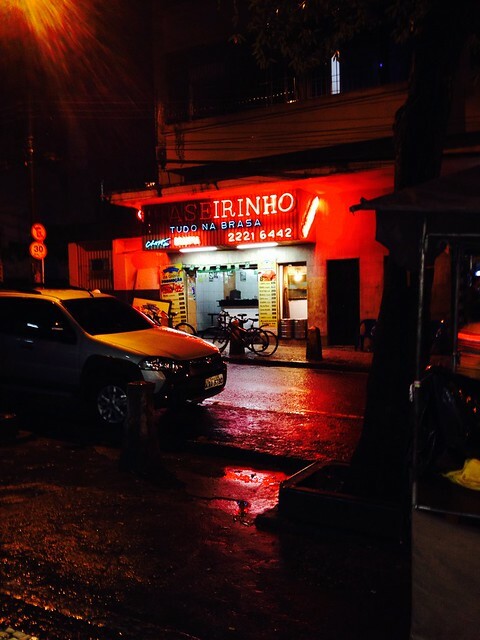 Our Airbnb host recommended Braserinho for dinner and we decided to give it a try. 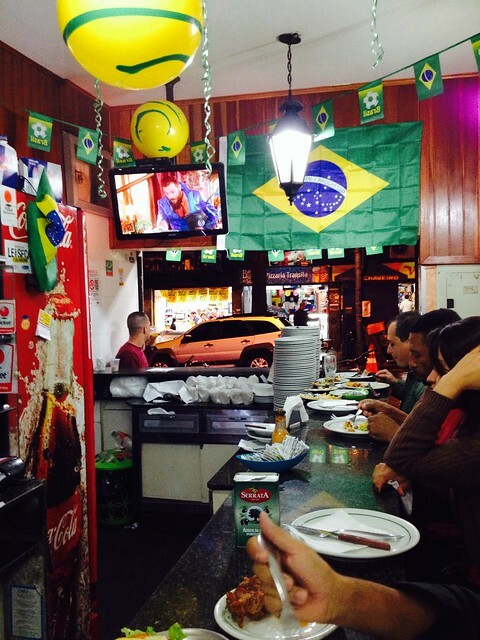 It was a locals-only joint and it took us some time to order our food. The food was quite good but there was too much meat for us. 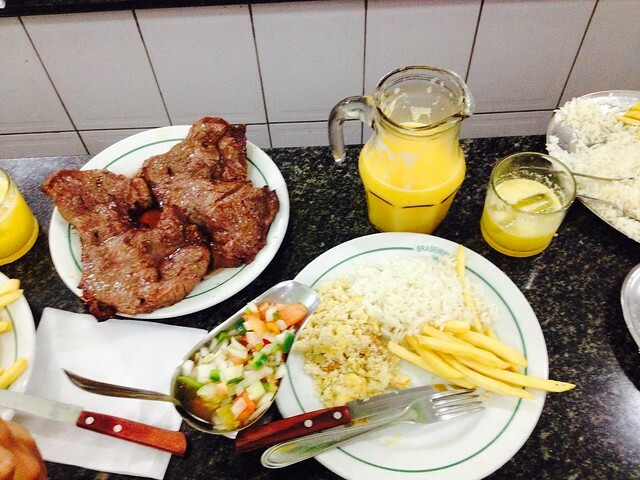 It cost 57.50 BRL, a fairly reasonable amount. 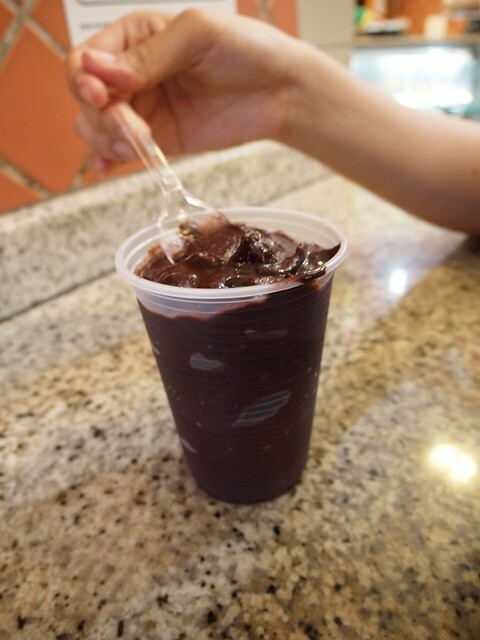 Juice stalls are ubiquitous in Rio and we decided to try açaí after the walking tour. 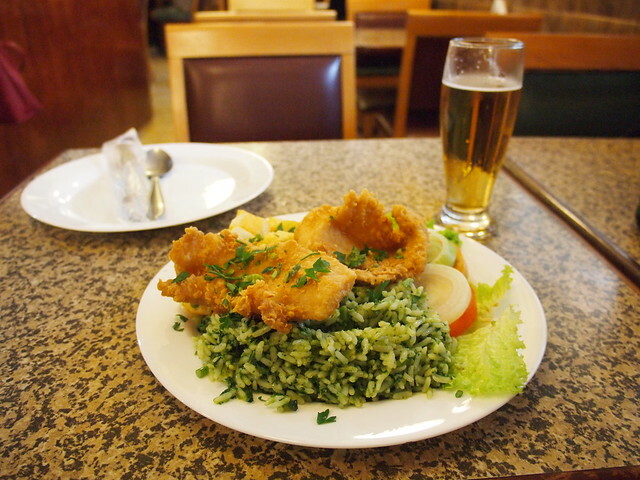 It was an acquired taste but Ying grew to love it by the end of our stay in Brazil. 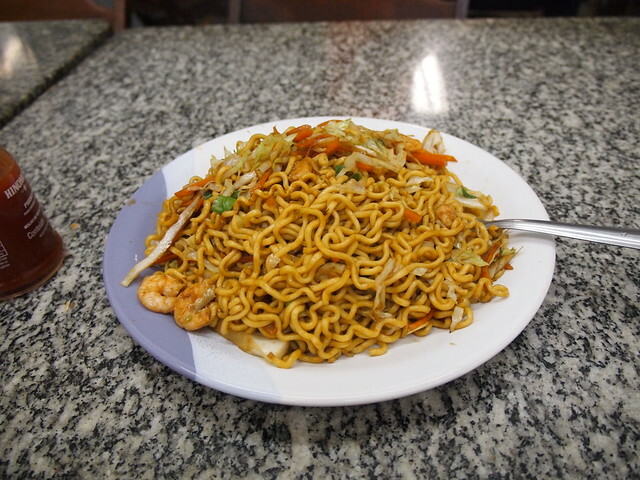 We discovered that there were Asian-operated shops selling fried noodles known as yakisoba. Ended up having it a few times. 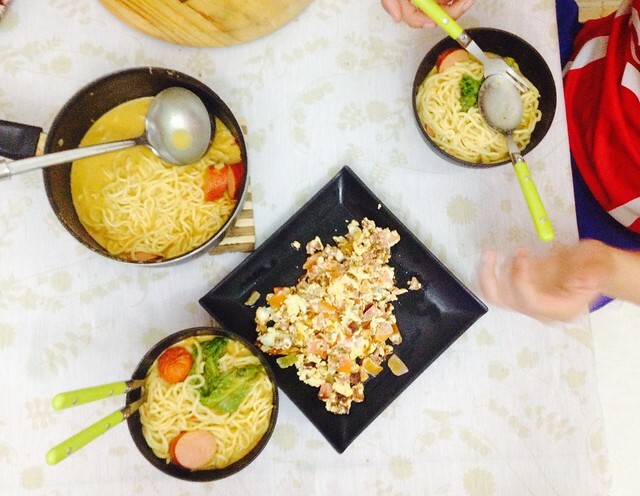 I managed to know of a guy who was coming from Singapore to watch the World Cup and he was kind enough to bring us some Prima Taste laksa la mian. Thanks bro KV! 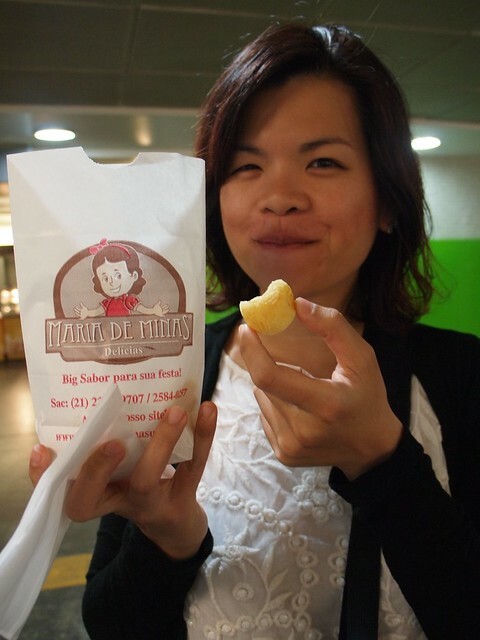 Ying and I also tried pão de queijo for one breakfast. The taste was too cheesy for me. 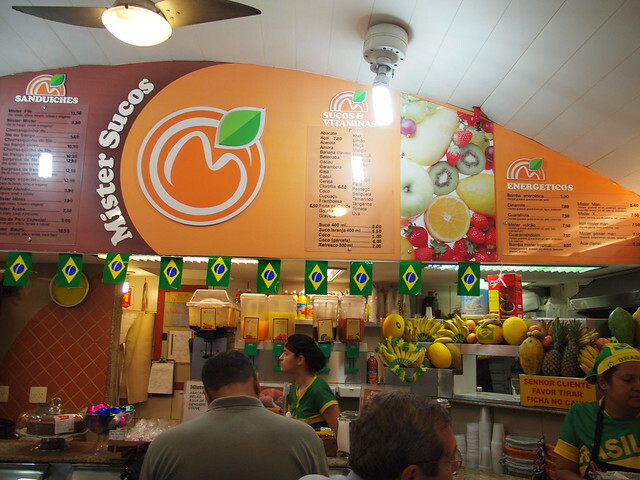 This entry was posted in Brazil and tagged Brazil, Food, Rio de Janeiro. Bookmark the permalink.